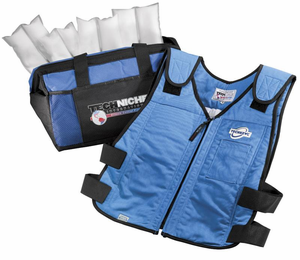 TechNiche's Phase Change Cooling Vests maintain a comfortable 14 degrees C (58 degrees F) for up to 3 hours of critical heat stress relief. 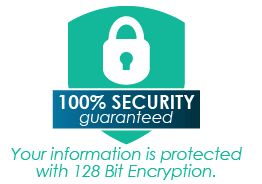 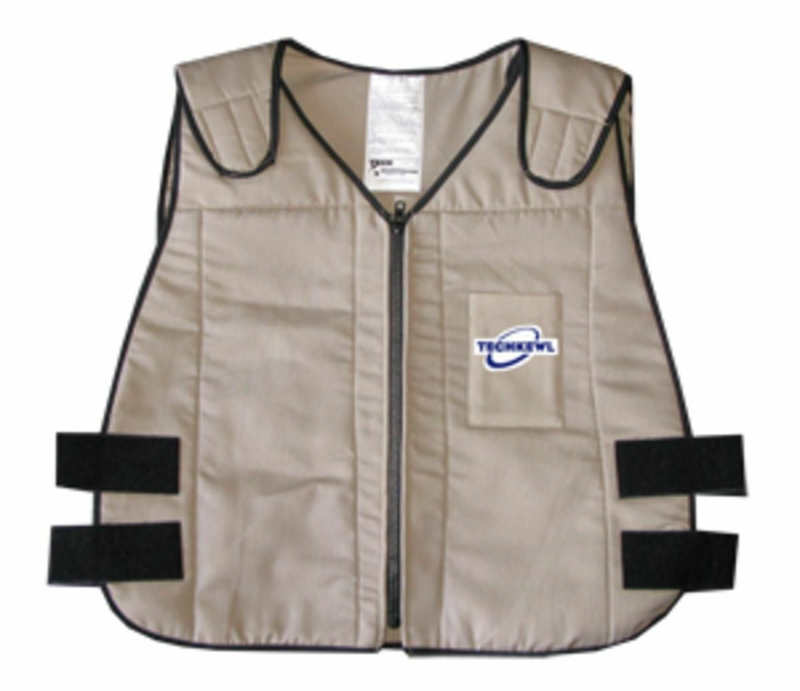 They are commonly used under high heat protective clothing, hazardous material suits, military body armor, and mascot costumes. 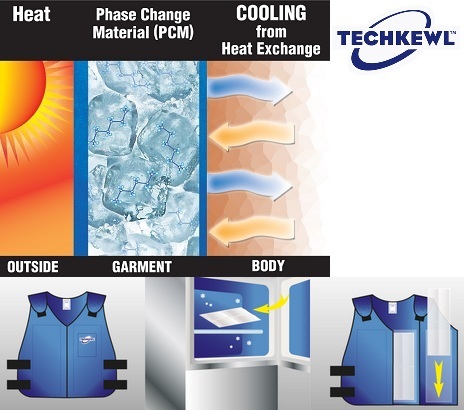 TechKewl™ Phase Change Cooling Vests keep you cool when you need it most! 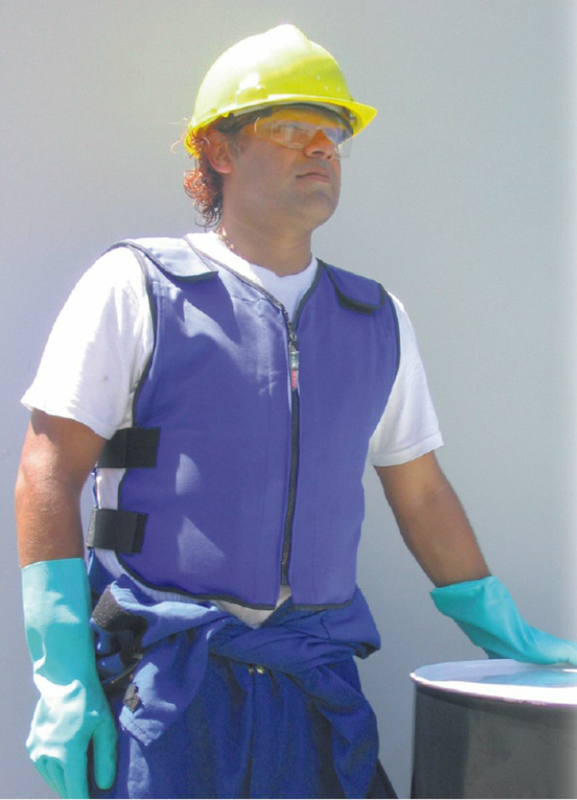 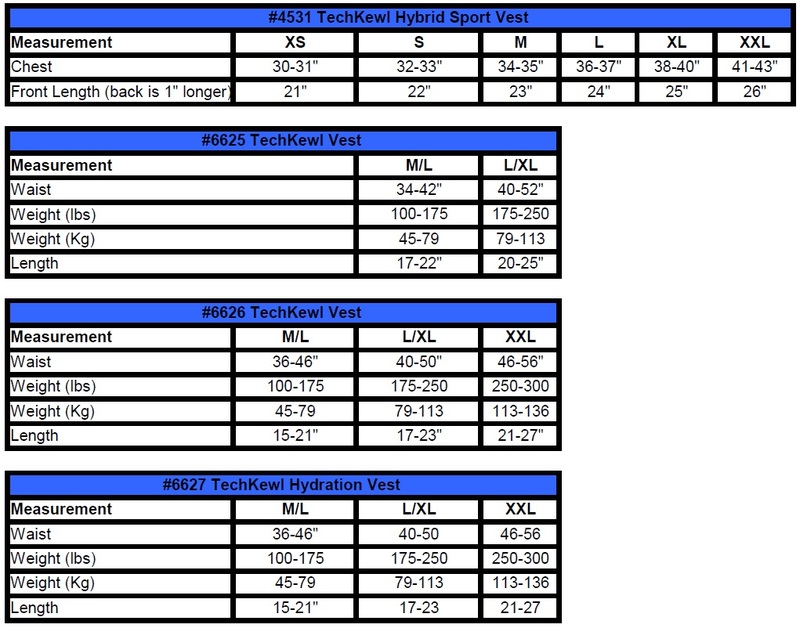 TechKewl™ Phase Change Cooling Vests are specially designed for long lasting durability in harsh working conditions. 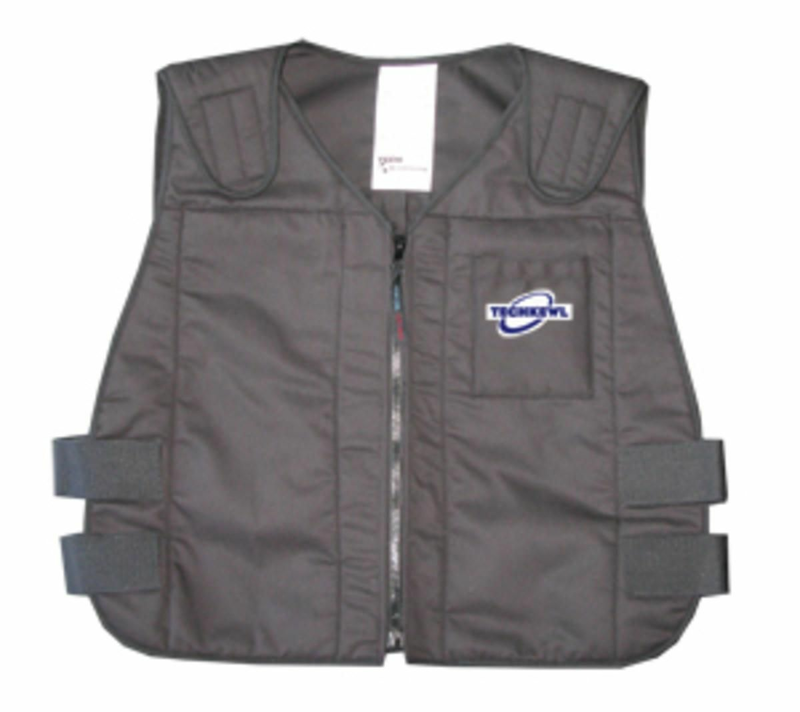 Vests have a comfortable v-neck design with a zipper closure. 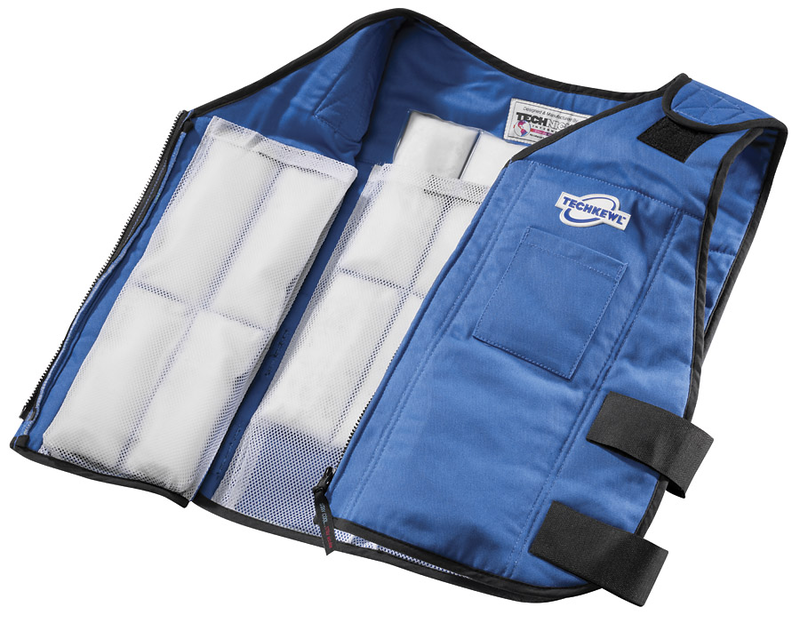 Hook and loop girth and shoulder adjustments provide a customized fit.